Finally, I am posting this blog! It was long pending. 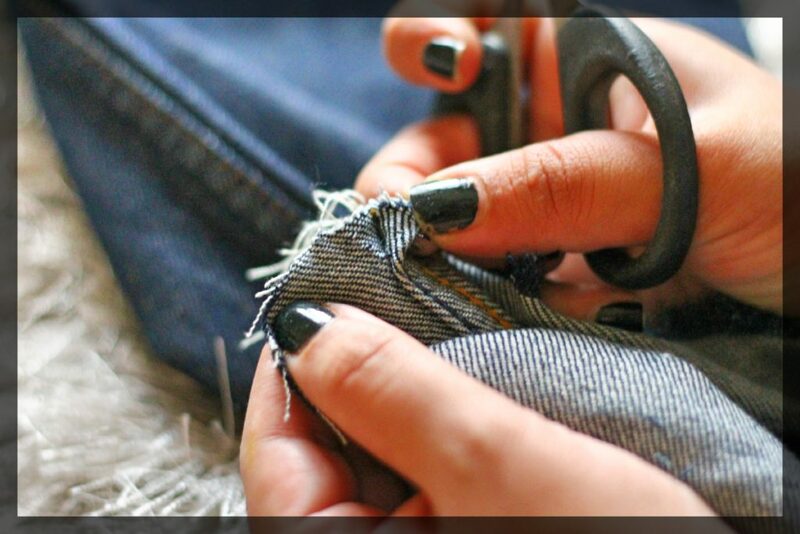 Though I will tell you the reason, I was not having any spare jeans to do so (haha!). 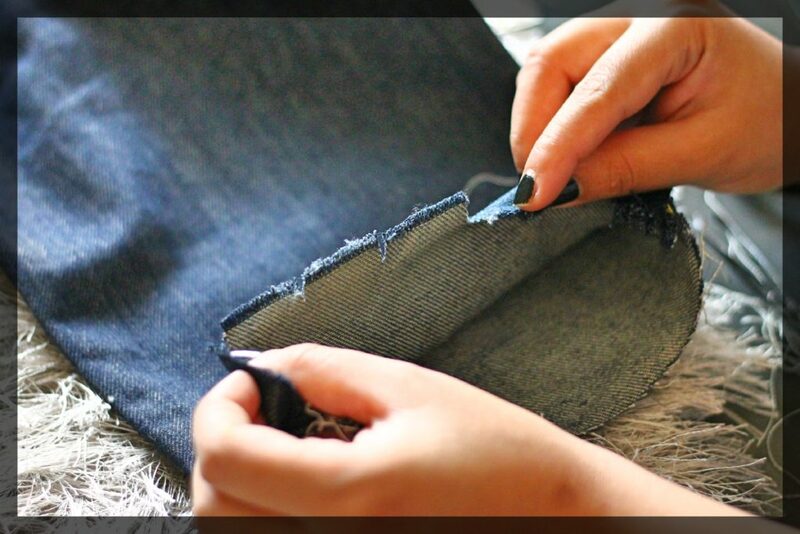 So, I decided to steal my husband’s old jeans to do this DIY for you guys. I have tried to make it as illustrative as possible with pictures and simple explanation. 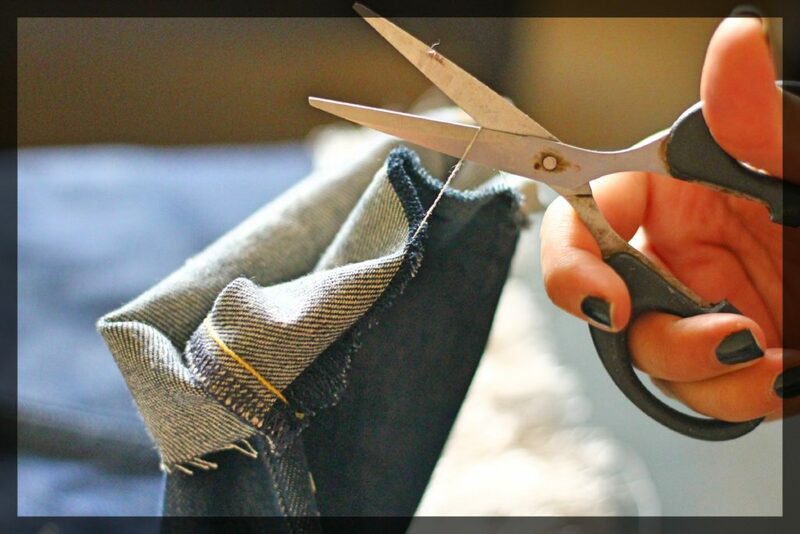 What you need: A pair of jeans, inch tape, a pair of scissors, plucker and a marker or pen. 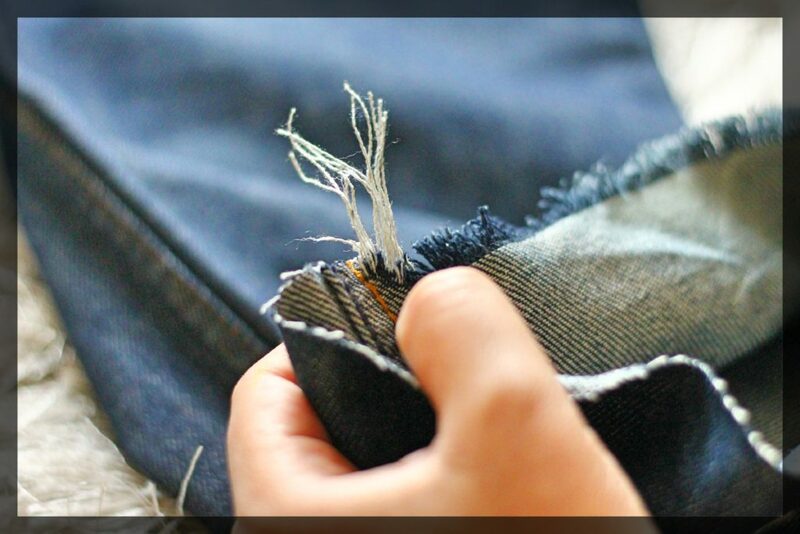 Pick a pair of old jeans but those of you, who are willing to experiment on your new jeans, go ahead! 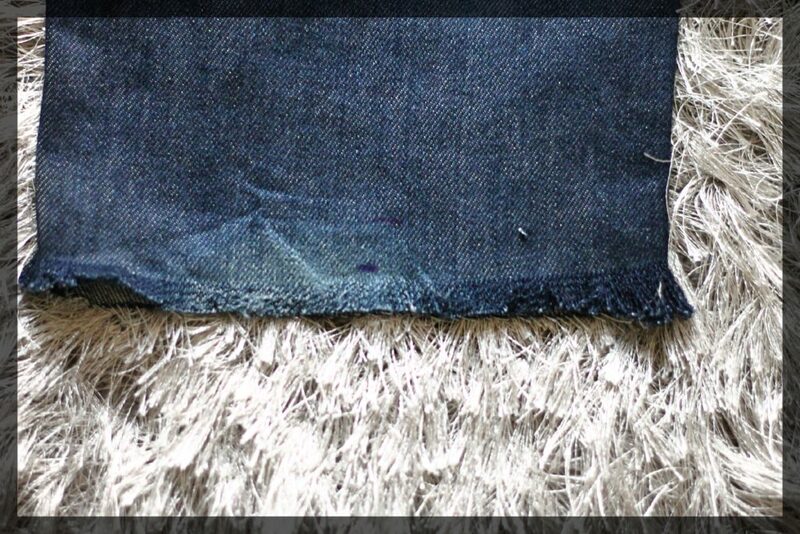 Cut off the thick edges. 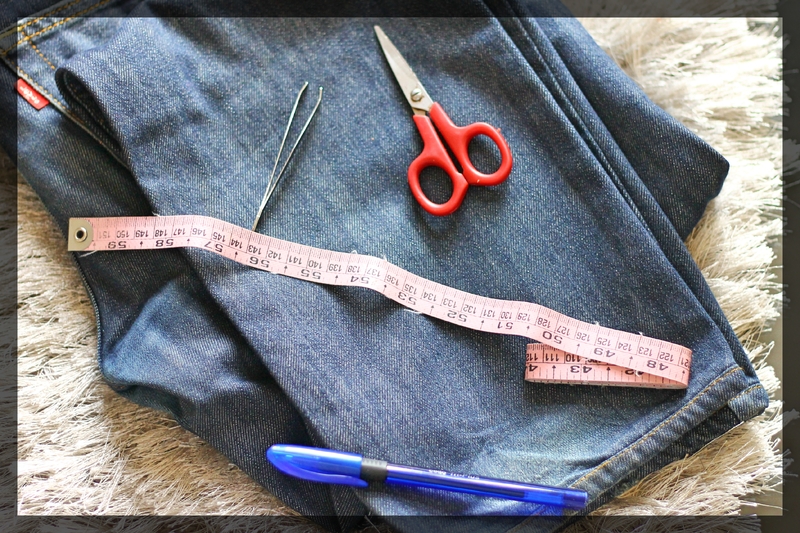 Take an inch tape and measure up to what length you want the jeans to be frayed and mark it with pen or any marker. 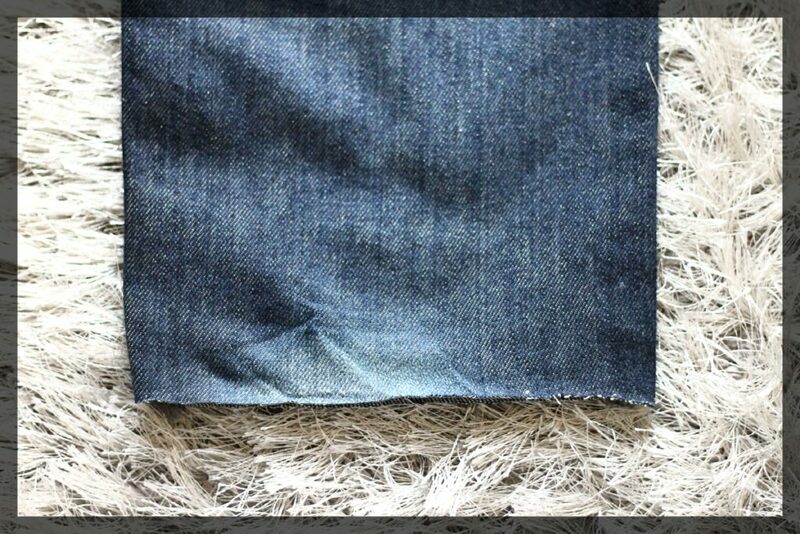 I did 2 inch from bottom for my jeans (check here). 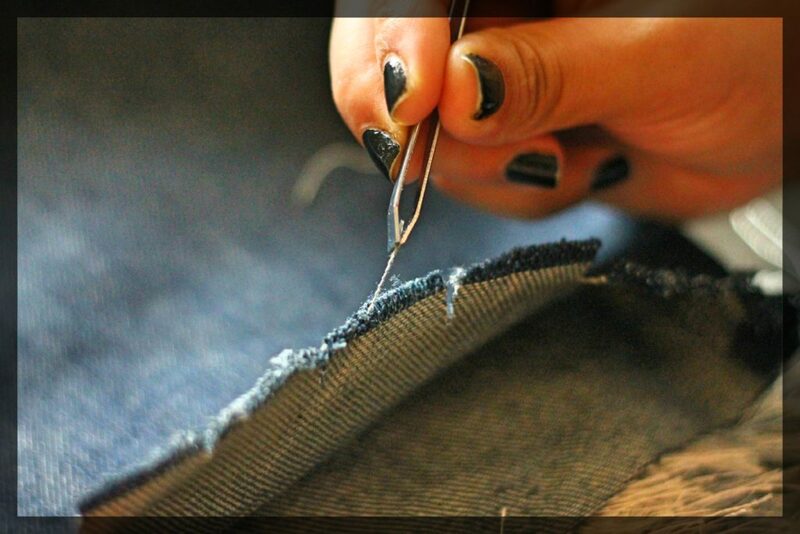 Now from the raw opened edges, start picking the threads with the help of a plucker. 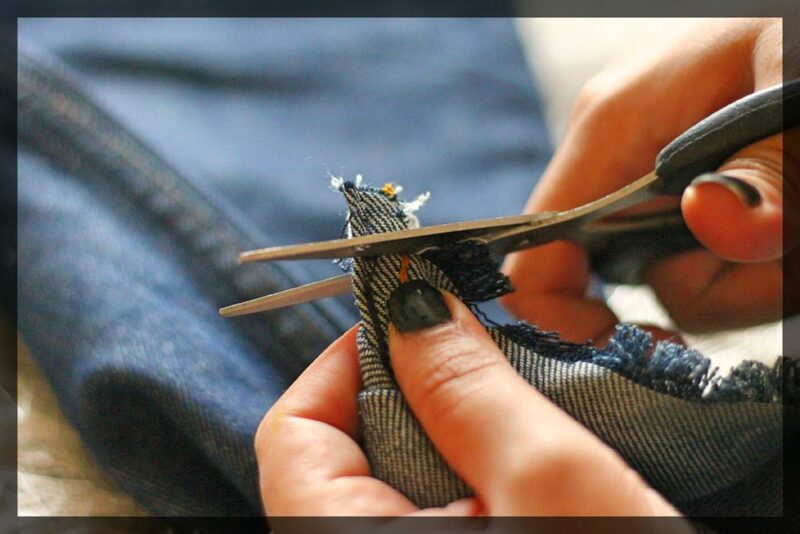 If you get a one big thread, cut it at centre, to remove it easily. 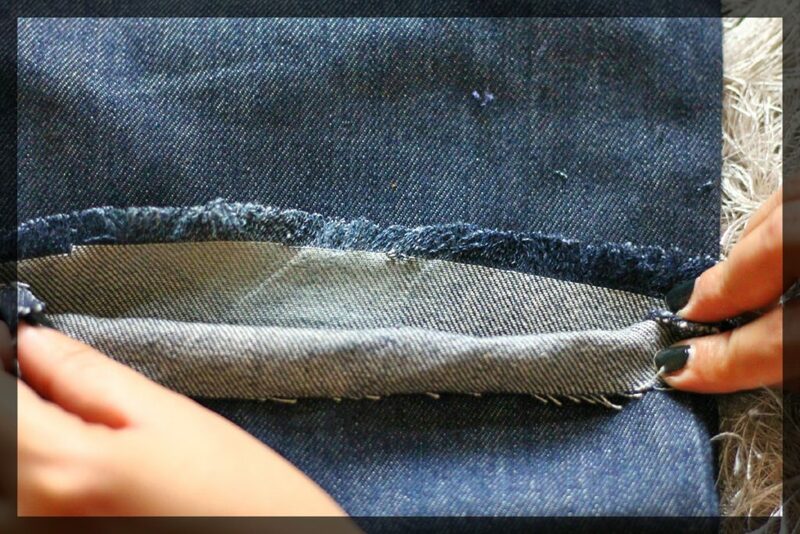 Another way of doing this is, just cut the jeans from edges one inch apart. 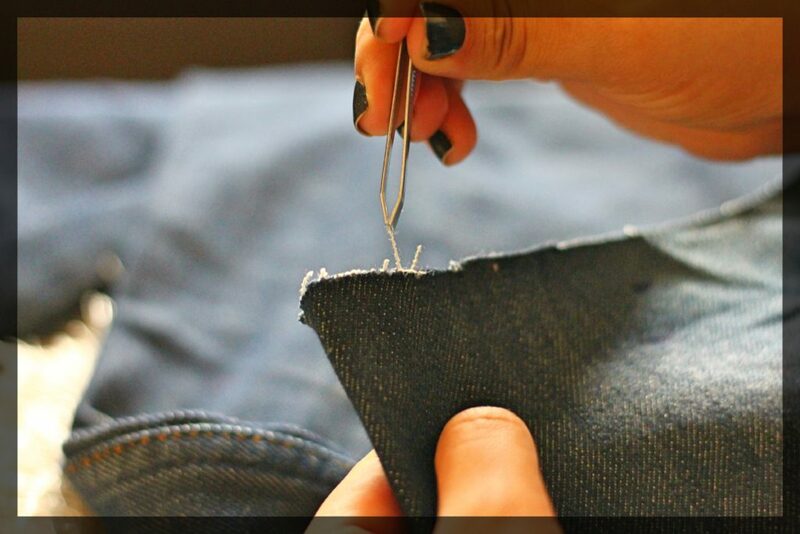 This eases the removal of threads. Keep doing this, till the required length. You may encounter this problem, lot of threads get piled at one end. 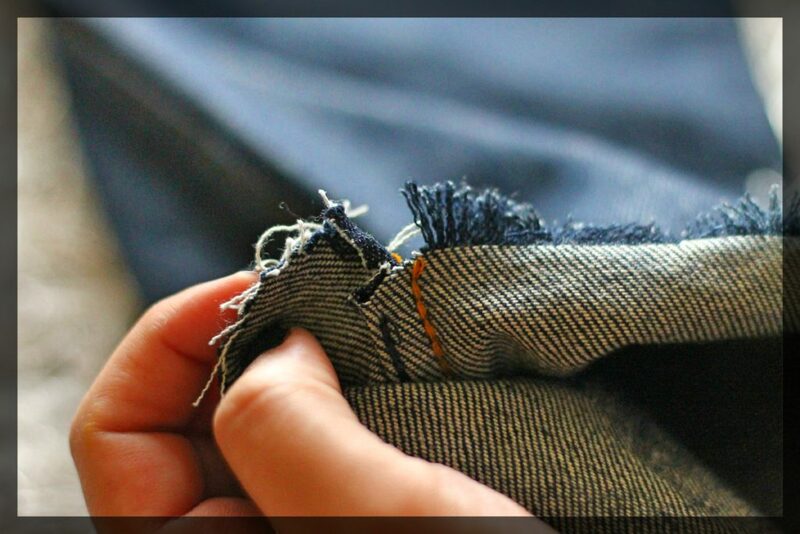 They are difficult to remove just by picking. 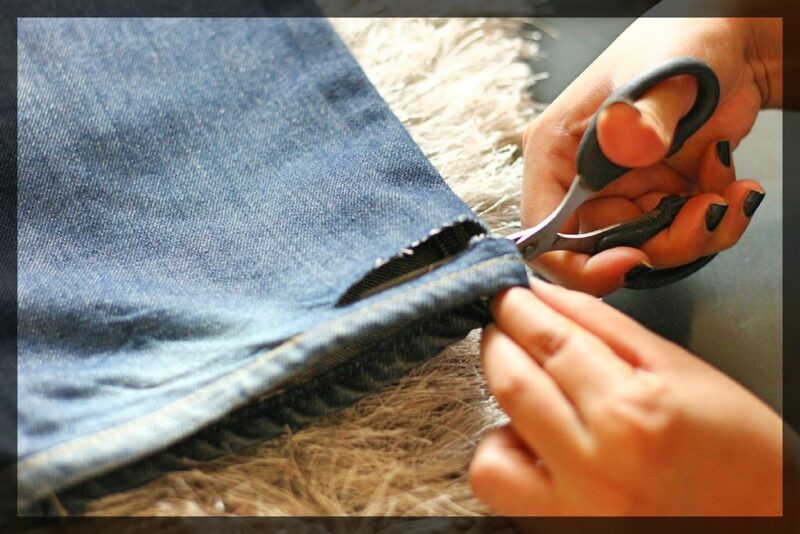 In that case you need to cut of the double stitched seams of your jeans (this requires a little effort). 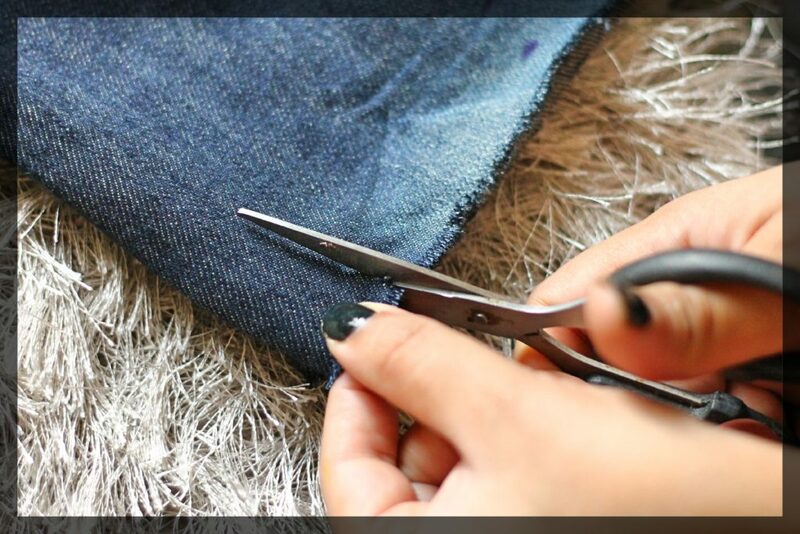 Cut it till the length, where you want your fringes to end. 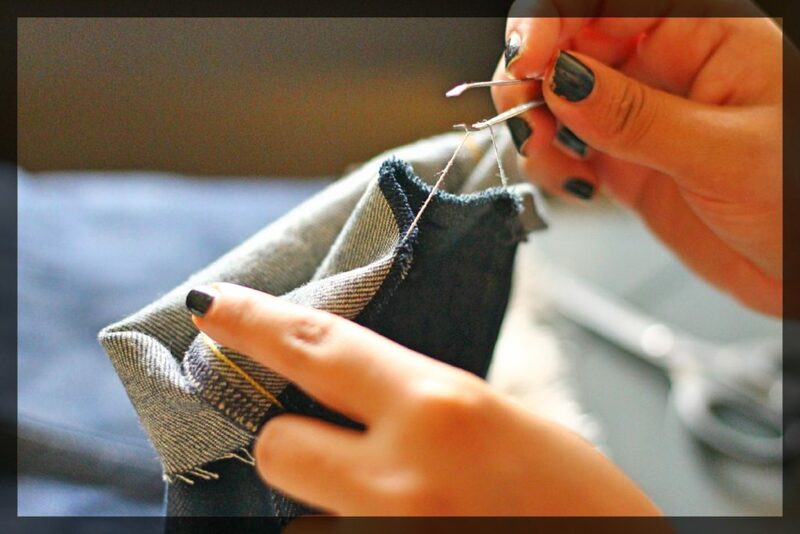 Continue picking the threads and finish for both back and front. The final result will look something like this. So this finishes it off! In case you have any questions leave your comments below, would love to answer.